A magnum opus for our morally complex times from the author ofFreedom. Purity Tyler, known to all as Pip, is an outspoken, forthright young woman struggling to make a life for herself. She sleeps in an rickety commune in Oakland. She's in love with an unavailable older man and is saddled with staggering college debt. She has a crazy mother and doesn't know who her father is. A chance encounter leads her to an internship in South America with the world-famous Sunlight Project, the president of which is Andreas Wolf, a charismatic genius who grew up privileged but disaffected in the German Democratic Republic. Like numerous women before her, she becomes obsessed with Andreas, and they have an intense, unsettling relationship. Eventually, he finds her work back in the United States. What lies underneath is a wild tale of hidden identities, secret wealth, neurotic fidelity, sociopathy, and murder. The truth of Pip's parentage lies at the centre of this maelstrom, but before it is resolved Franzen takes us from the rain-drenched forests of northern California, to paranoid East Berlin before the fall of the Wall, to the paradisiacal mountain valleys of Bolivia, exposing us to the vagaries of radical politics, the problematic seductions of the internet, and the no-holds-barred war between the sexes. 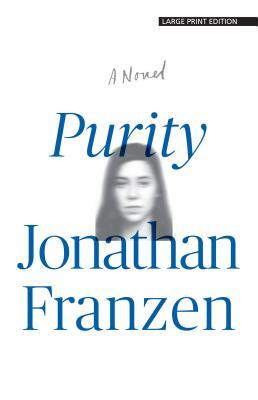 Featuring an unforgettable cast of inimitable Franzenian characters, Purity is deeply troubling, richly moving, and hilarious. JONATHAN FRANZEN is the author of four novels (Freedom, The Corrections, Strong Motion, and The Twenty-Seventh City), two collections of essays (Farther Away, How to Be Alone), a personal history (The Discomfort Zone), and translations of Frank Wedekind's Spring Awakening and Karl Kraus. He lives in New York City and Santa Cruz, California.